The unique textured finish of this 8mm comfort-fit two tone band is beautifully framed by high polish edges. Inspired by the Dogwood tree, this 6mm comfort-fit band features wear resistant black detailing creating a dimensional bark motif. The wear resistant black detailing on this 8mm two-tone ring creates a beautifully organic diagonal bark design. 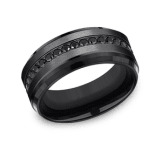 Wear resistant black detailing creates a dimensional web effect on this 6mm comfort-fit design ring. 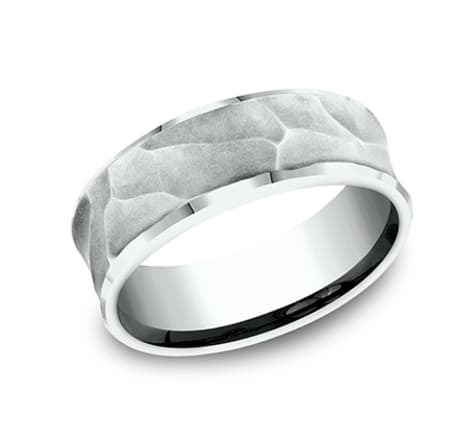 High polish edges frame the Lava Rock texture on this 6.5mm comfort-fit design band. 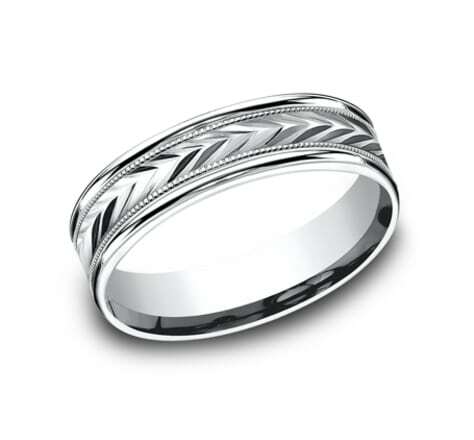 This White Gold design band features the iconic Celtic Knot amidst high polish drop bevel edges. The satin finish on our elegant flat comfort-fit profile gives this 6mm design ring a sophisticated edge. Our signature "faux mokume" pattern graces the surface of this 6.5mm comfort-fit design ring to create a wearable work of art. 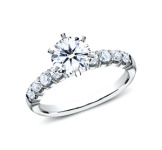 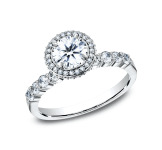 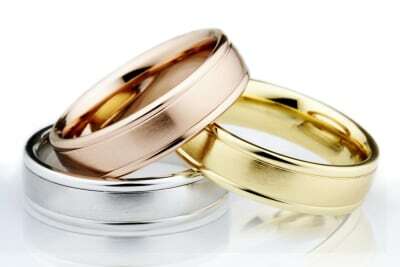 Beautiful in its simplicity, this 6.5mm Comfort-Fit satin finish design ring features a high polish center cut accent. 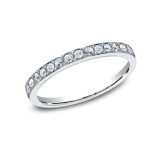 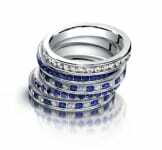 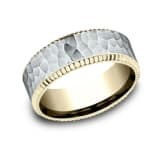 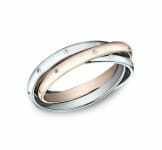 This stylish 7mm comfort-fit carved design band features a Florentine finish center framed by high polish round edges. A visually interesting cross hatch pattern is embraced by high polish rounded edges on this 6.5mm comfort-fit design band. Our classic satin finish has been reimagined with a diagonal spin on this 6mm comfort-fit design ring. 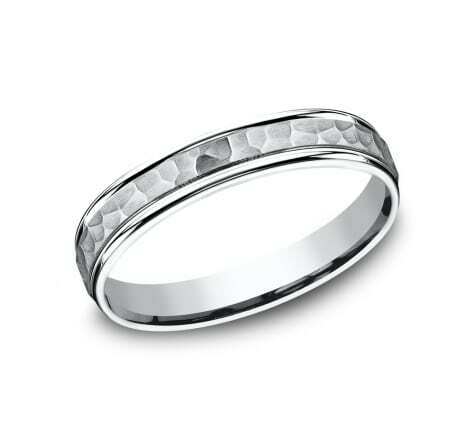 We've hand hammered over the surface of our pebbled finish to create a unique pattern on this 5mm comfort-fit band. The flat profile on this 5mm comfort-fit ring features a cracked rock design for a look of rugged beauty. The floral script on this 8mm comfort-fit design ring channels the vintage feel of the Victorian era. We've hand hammered the elongated barrel pattern on this 6.5mm comfort-fit design ring and added a satin finish for a softer look. 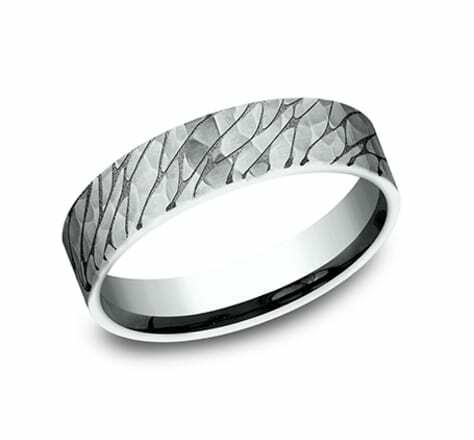 The unique swirl finish on this comfort-fit 5.5mm band creates an interesting textured effect. 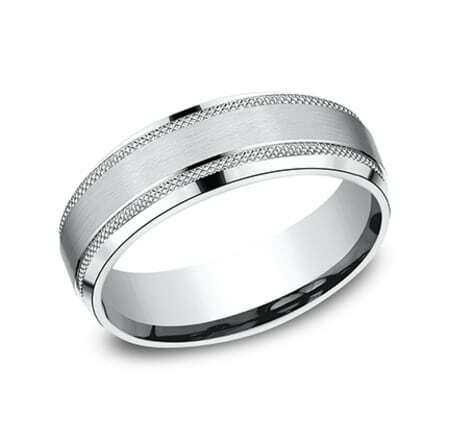 This 7mm band accentuated by its wire brush finish center is a perfect mix of modern design and classic sophistication. 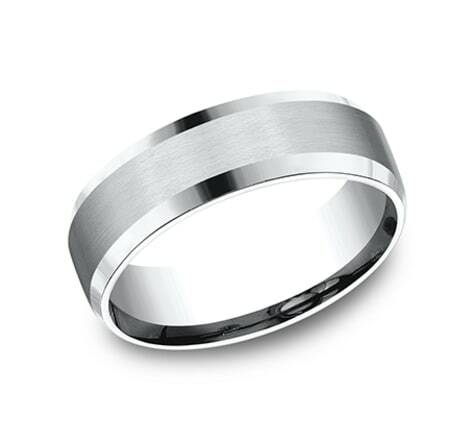 We've put a diagonal spin on our classic satin finish on this 5.5mm comfort-fit band. A departure from our traditional hammered finish, this 5mm comfort-fit design ring features beautifully elongated vertical hammering for a more unique look. 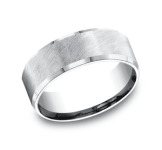 A knurled edge frames a satin finish center for an industrial effect on this 6.5mm comfort-fit design ring. 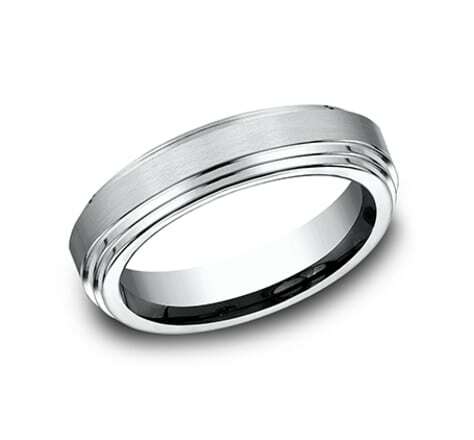 This 6mm comfort-fit satin-finished step edge carved design band offers a classic look, but with a modern flat profile. Inspired by nature, the beautifully organic leaf pattern on this 6.5mm comfort-fit ring is created using a wear resistant black coating. An elegantly sophisticated style, this 4mm comfort-fit design ring features high polish rounded edges framing a beautiful satin finish center. This 4mm comfort-fit design ring feature high polish edges framing a hand hammered center for a unique one of a kind look. A departure from our traditional hammered finish, this 6mm comfort-fit design ring features beautifully elongated vertical hammering for a more unique look. This remarkable 6mm comfort-fit carved design band features a variety of directional arrows along the center with a high polished round edge for a unique but classic look. 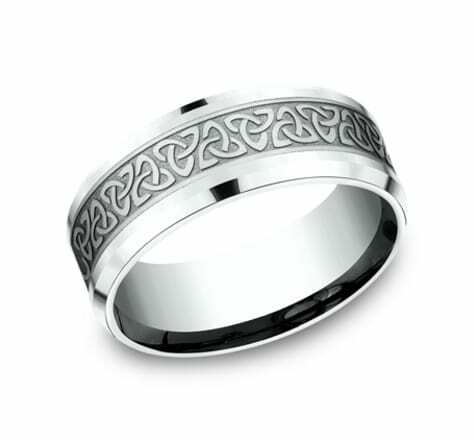 Representing the timeless nature of love, this 6mm White Gold band features an endless Celtic Knot pattern cradled by high polish round edges.